Here is the song from the movie "Rosemary's Baby" (only vocalized in the film) with the lovely Mia Farrow, and performed here by the exquisite Rita Moss. 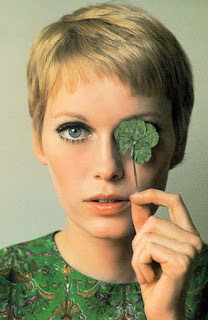 Mia Farrow (born Maria de Lourdes Villiers-Farrow in 1945 to John Farrow - an Australian film director - and the late Irish actress Maureen O'Sullivan) is an American actress. Farrow has appeared in more than 40 films and won numerous awards, including a Golden Globe award (and seven additional Golden Globe nominations), three BAFTA Film Award nominations, and a win for best actress at the San Sebastian International Film Festival. Farrow is also notable for her extensive humanitarian work as a UNICEF Goodwill Ambassador. 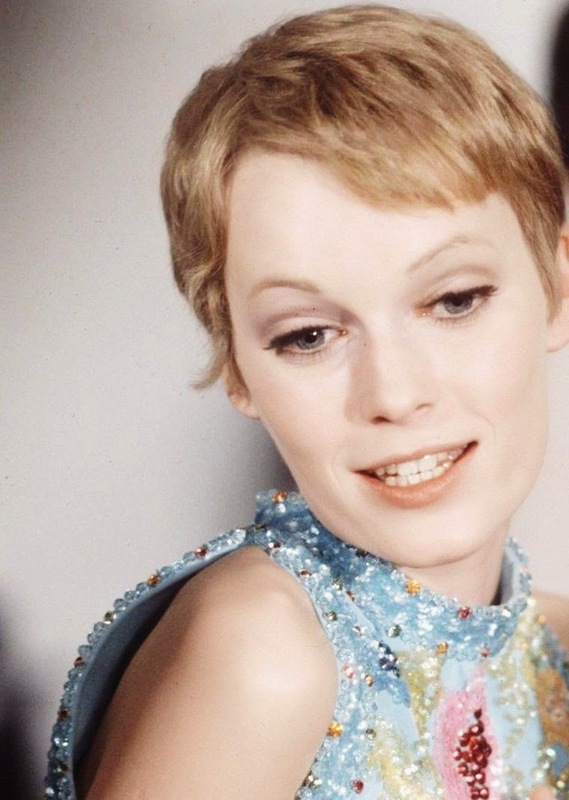 Mia Farrow began her acting career by appearing in supporting roles in several 1960's films. However, she achieved stardom on the popular soap opera, "Peyton Place", with co-star Ryan O'Neal. Her first leading film role was in 1968's "Rosemary's Baby", which was a major success at the time and is widely regarded as a classic. 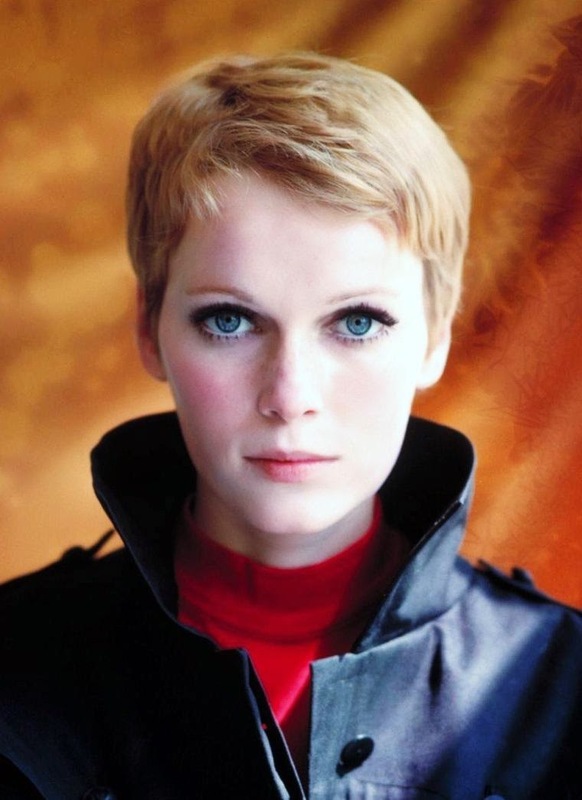 Farrow's performance in "Rosemary's Baby" garnered numerous awards and established her as a leading actress. Following "Rosemary's Baby", Farrow starred in "Secret Ceremony", opposite Elizabeth Taylor. Farrow's other late 60's films include "John and Mary", opposite Dustin Hoffman. In the 1970's, Farrow appeared in a number of notable films, including the 1971 thriller "See No Evil", legendary French director Claude Chabrol's 1972 film "Docteur Popaul", and the 1974 version of "The Great Gatsby". She also appeared in director Robert Altman's cult classic "A Wedding" in 1978. Farrow also appeared in a number of made for television films in the 1970's, most notably portraying the title role in a 1976 musical version of "Peter Pan". In 1979, Farrow appeared on Broadway opposite Anthony Perkins in the play "Romantic Comedy" by Bernard Slade. In the 1980's and early 90's, Farrow's relationship with director Woody Allen resulted in numerous film collaborations. She appeared in nearly all of Allen's critically acclaimed films during this period, including leading roles in "Hannah and Her Sisters", "The Purple Rose of Cairo", "Broadway Danny Rose", and 1990's "Alice", again as the title character. Farrow also played in the 1984 movie "Supergirl" and voiced the title role in 1982's animated film "The Last Unicorn". Farrow worked less frequently during the 90's. Nonetheless, she appeared in leading roles in several notable films, included 1994's "Widows' Peak" (an Irish film) and the 1995 films, "Miami Rhapsody" and "Reckless". She also appeared in several independent features and made for television films throughout the late 1990's and early 2000's. Farrow most recently appeared as "Mrs. Baylock", the Satanic nanny, in the 2006 remake of "The Omen". Farrow has completed work on several films slated for release in 2007, including the romantic comedy "Fast Track" and the first part of director Luc Besson's planned trilogy of fantasy films, "Arthur and the Invisibles". In September 2006, she began shooting director Michel Gondry's "Be Kind Rewind", opposite Jack Black and Danny Glover. Farrow was married to singer Frank Sinatra for two years and to German-American pianist André Previn for nine years. 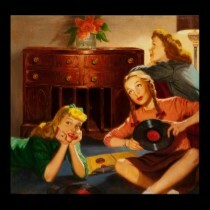 Enjoy Rita's fine voice and Mia's delicate beauty and charm!